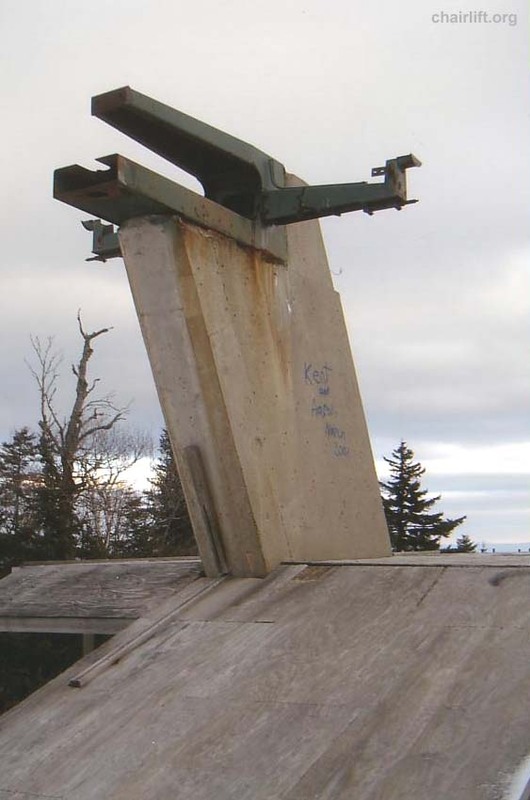 as a depression tower to keep the lift sheltered from the wind. 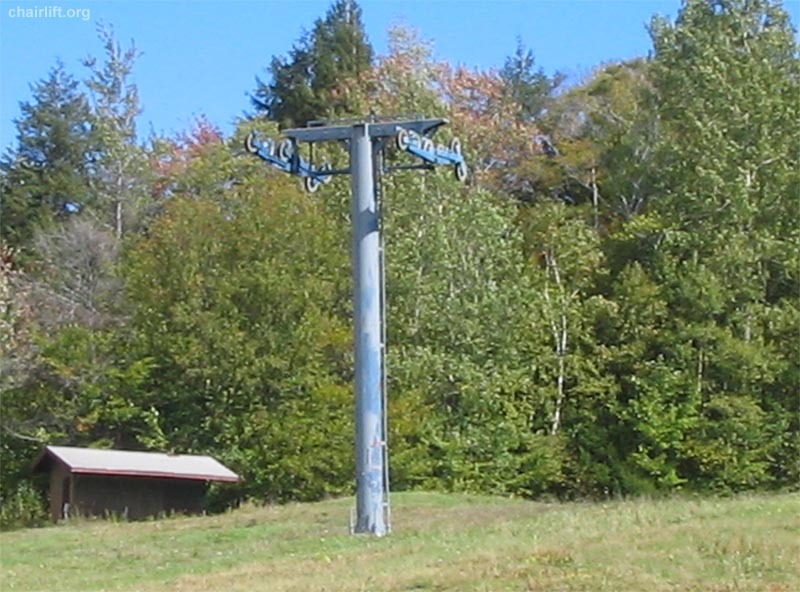 This is a Poma tower. 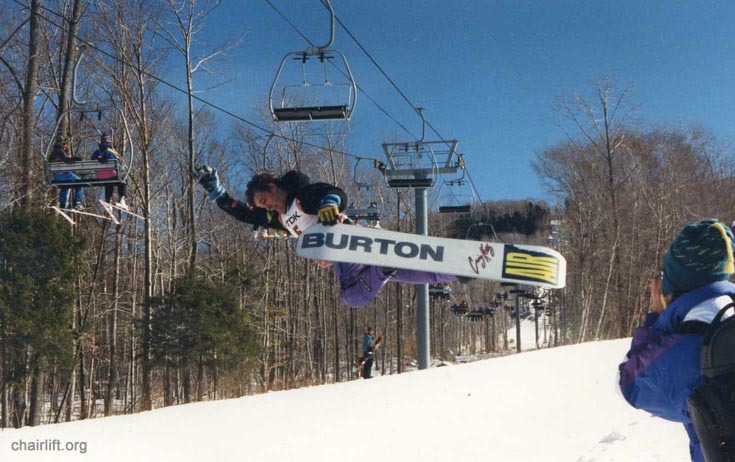 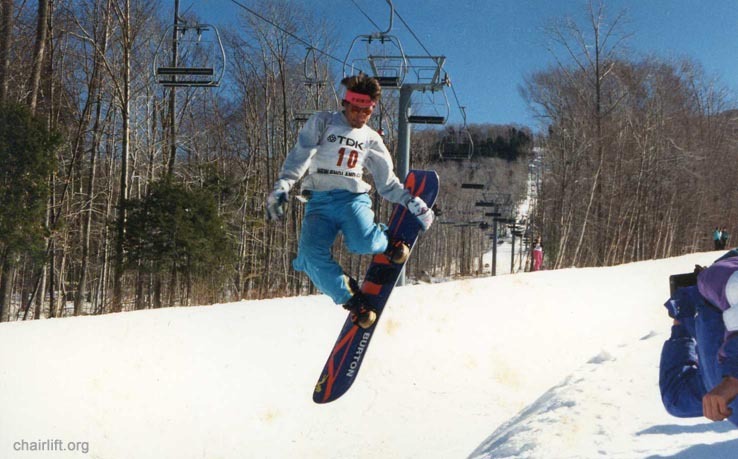 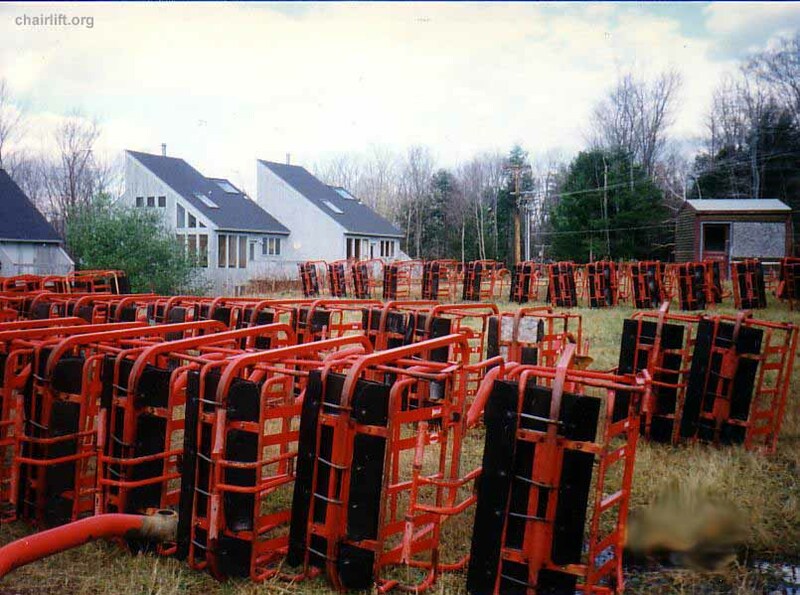 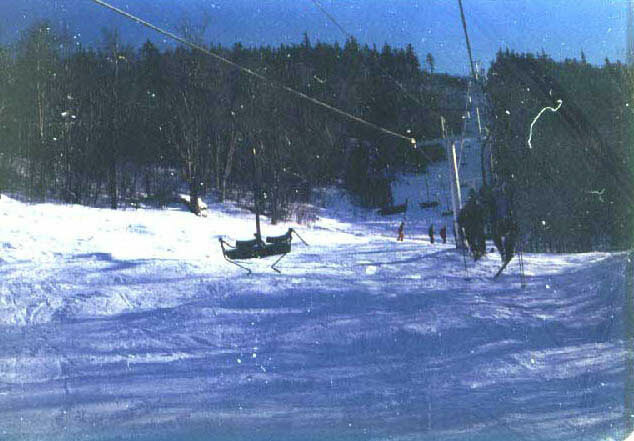 with a Poma Quad chair purchased from Stratton. 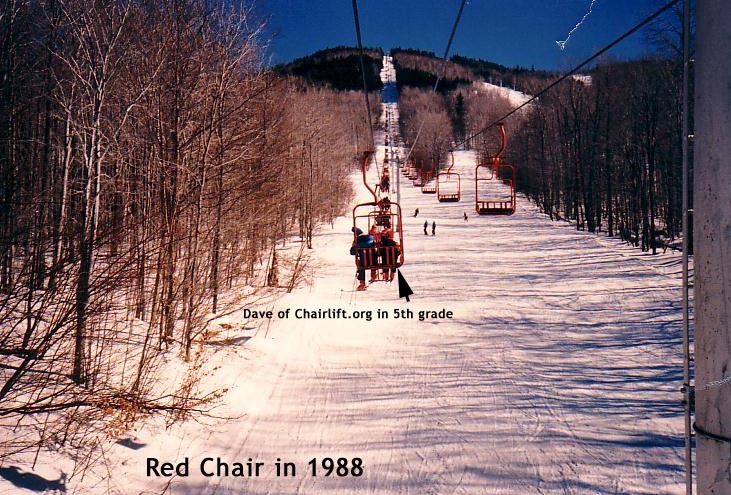 The chair is partially installed but it is uncertain as to whether it will be completed or remoed to focus on a new beginner chair. 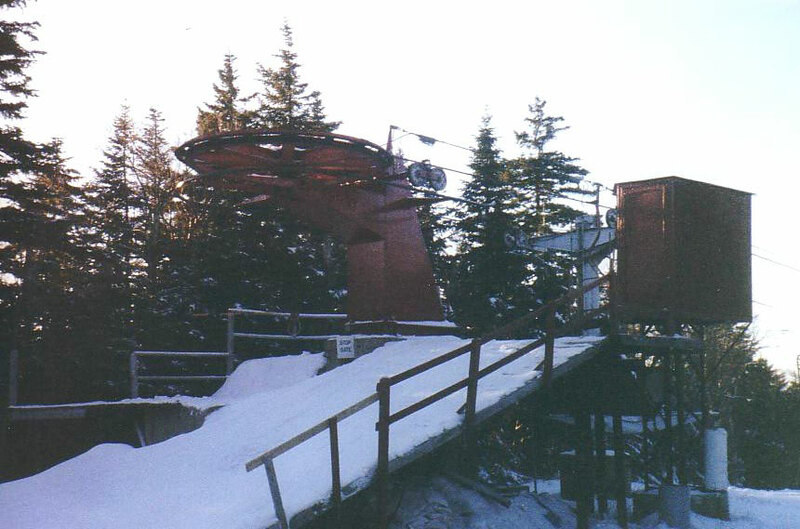 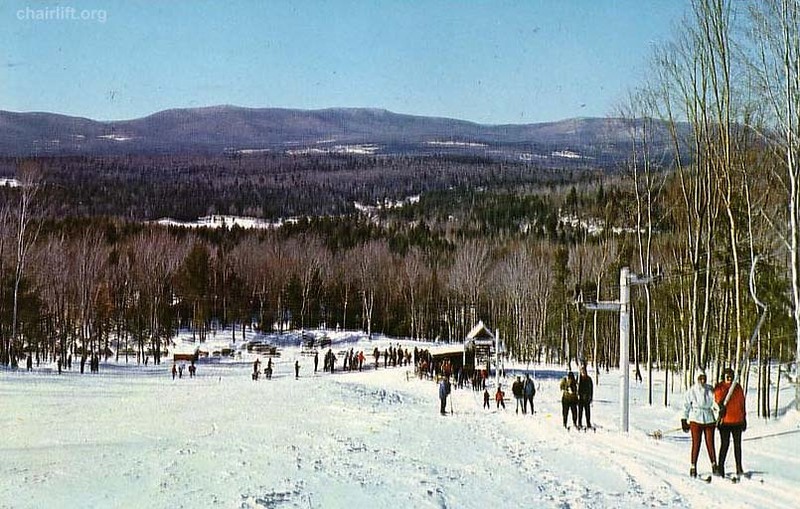 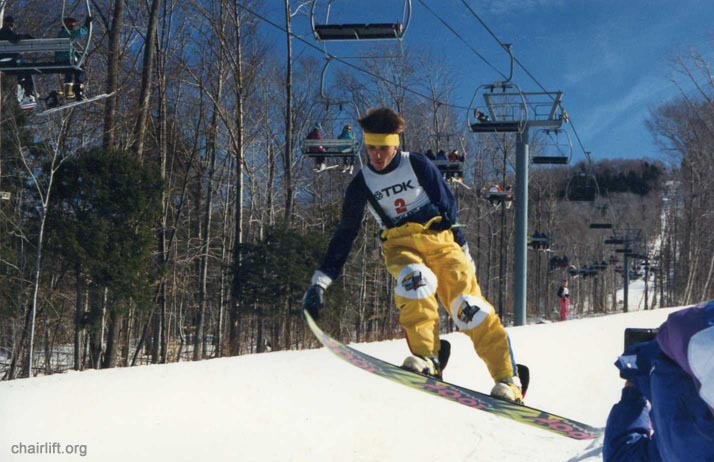 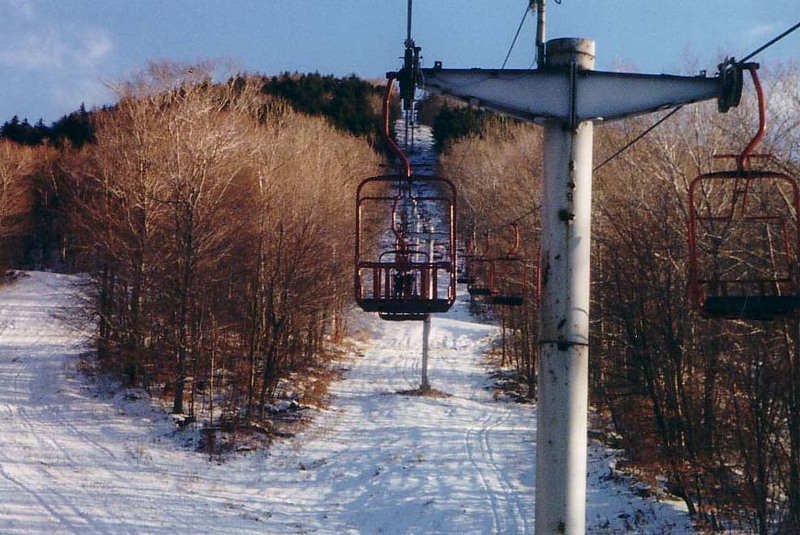 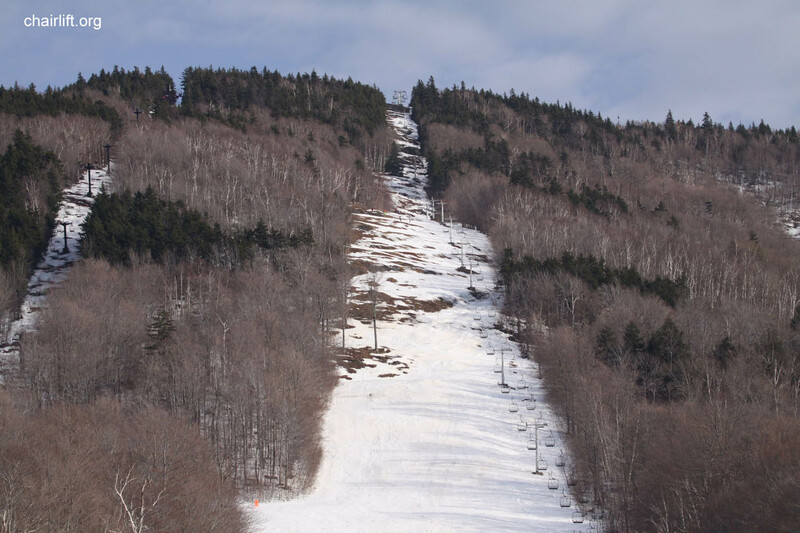 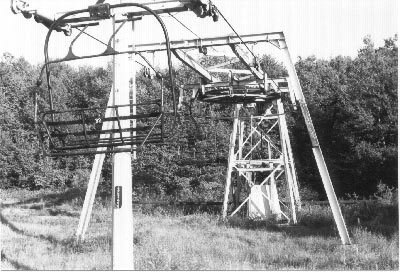 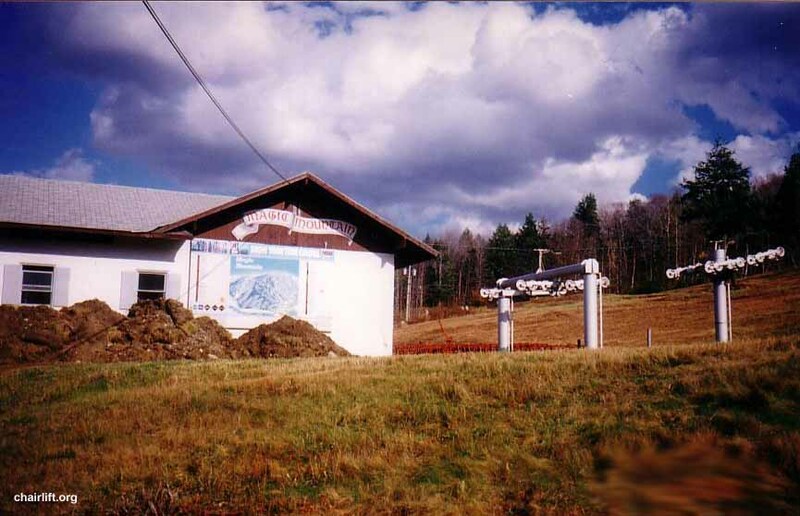 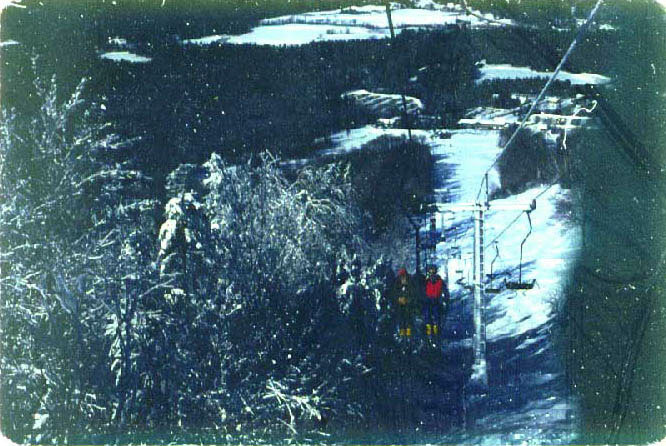 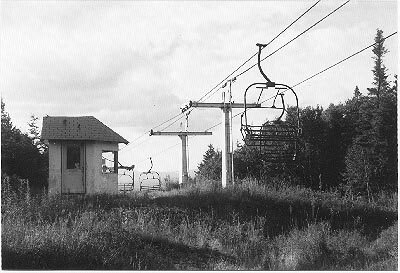 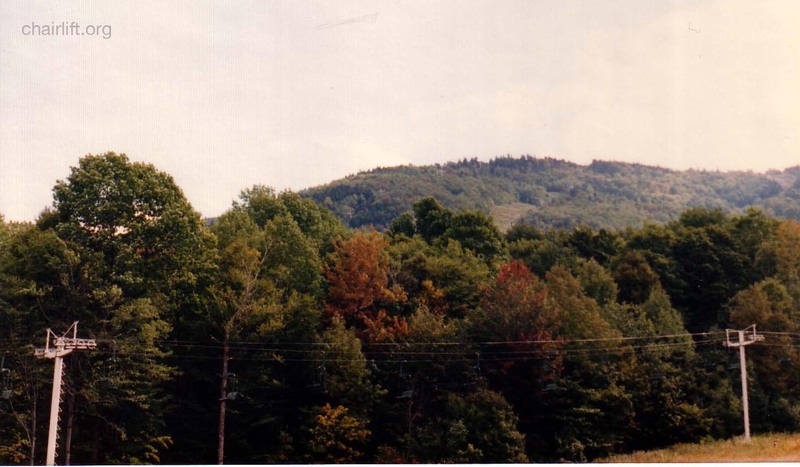 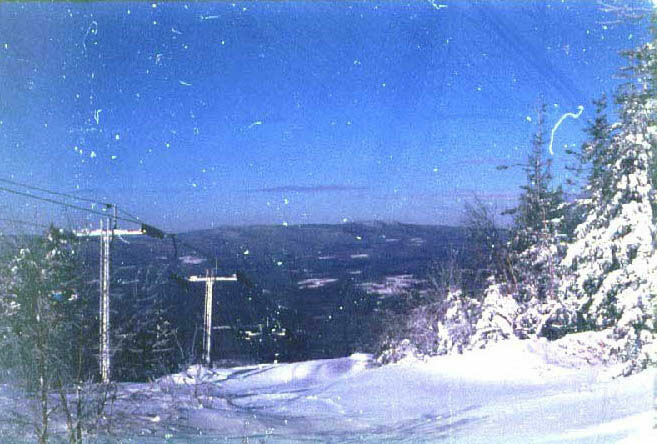 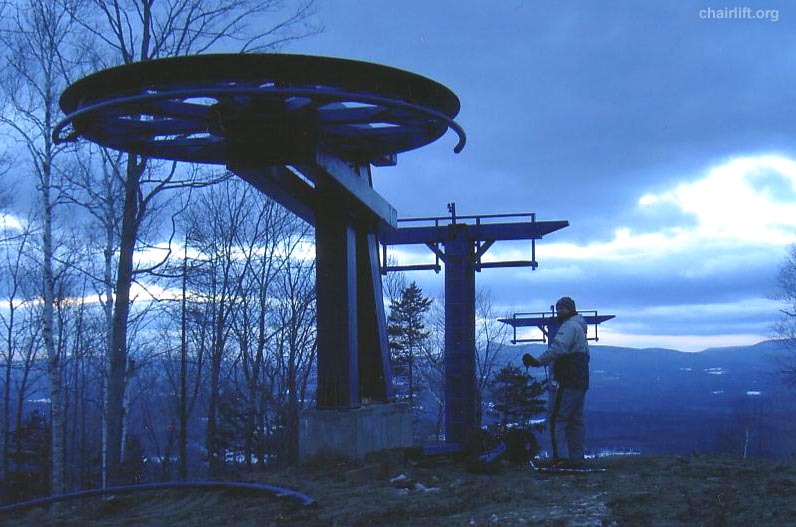 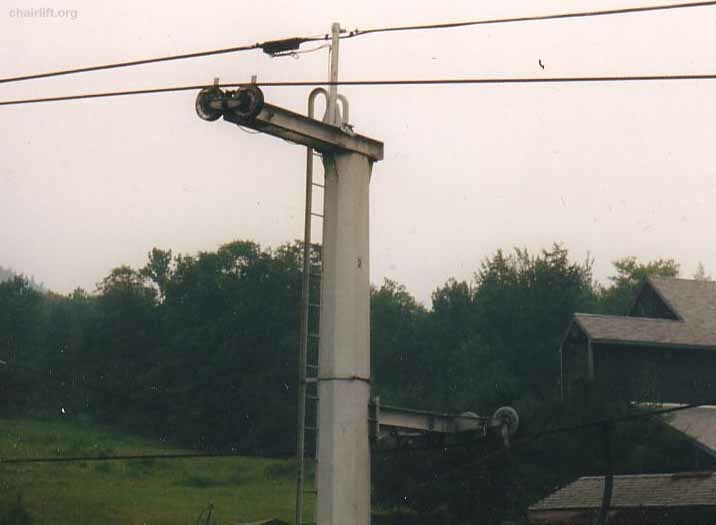 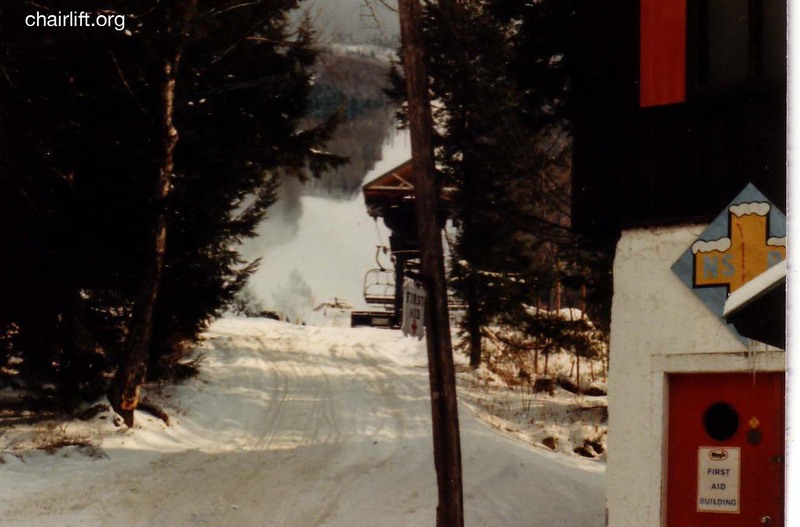 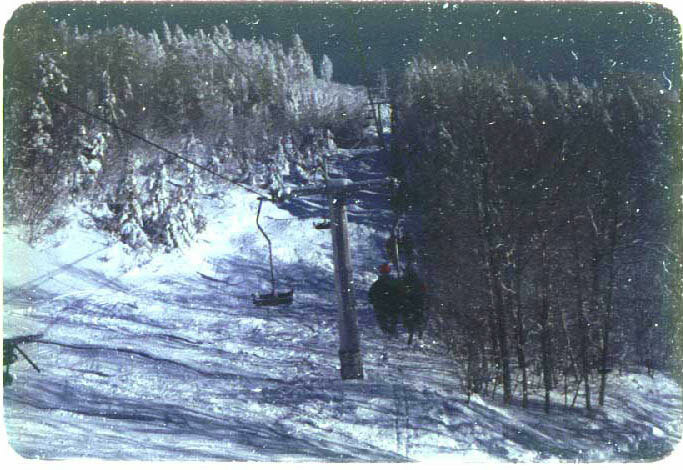 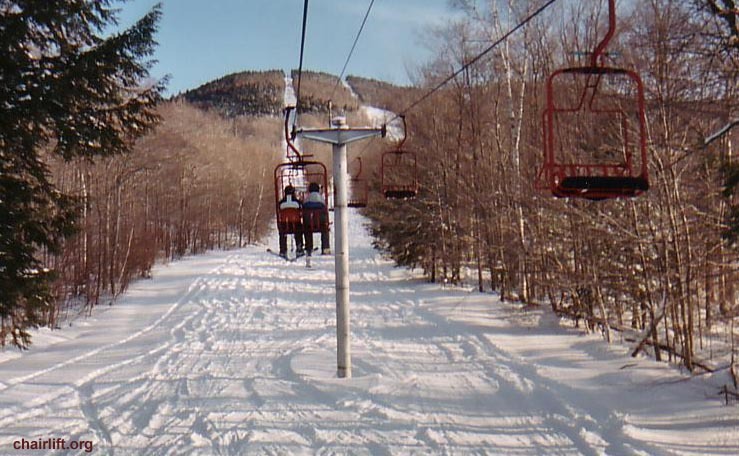 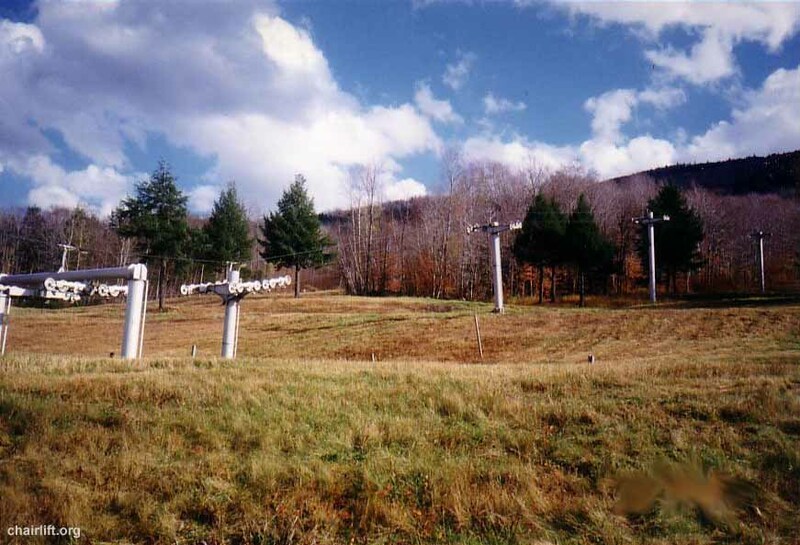 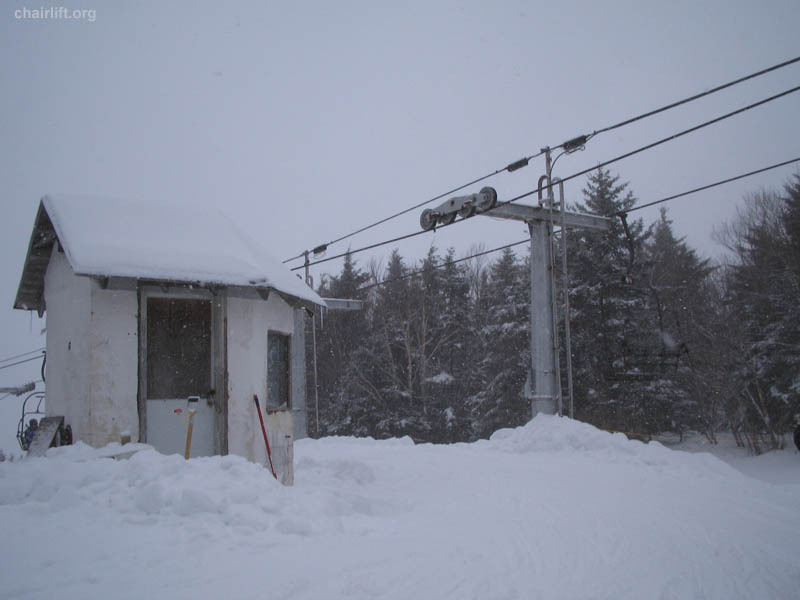 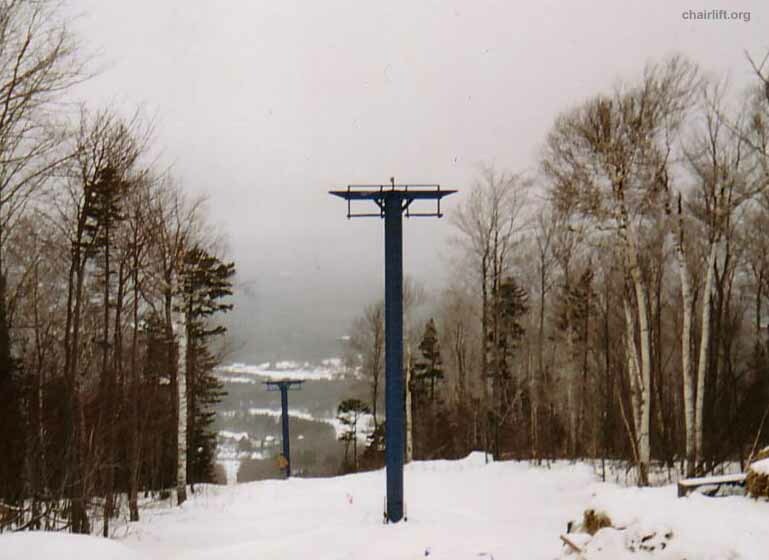 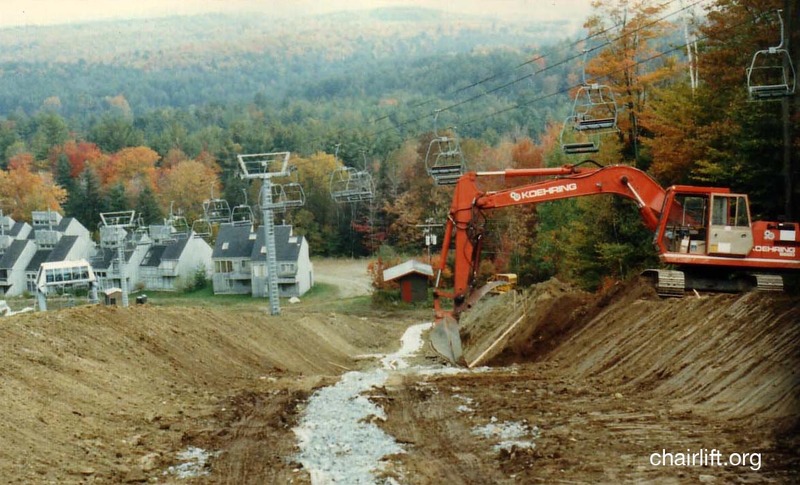 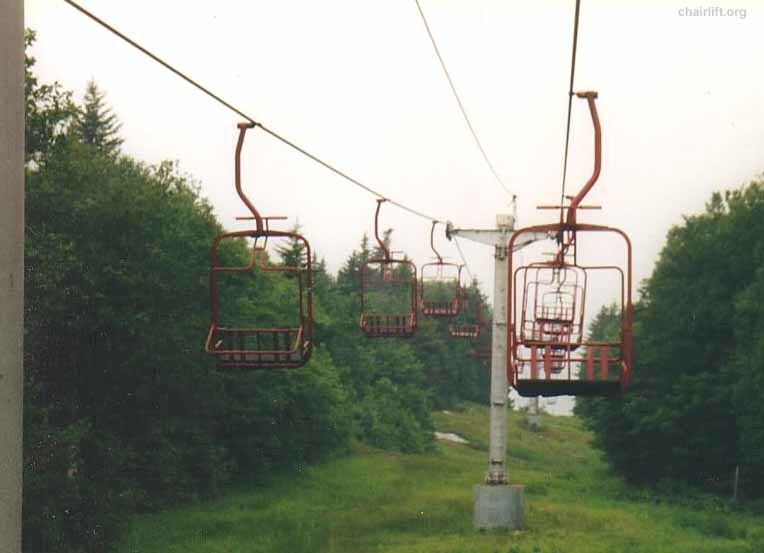 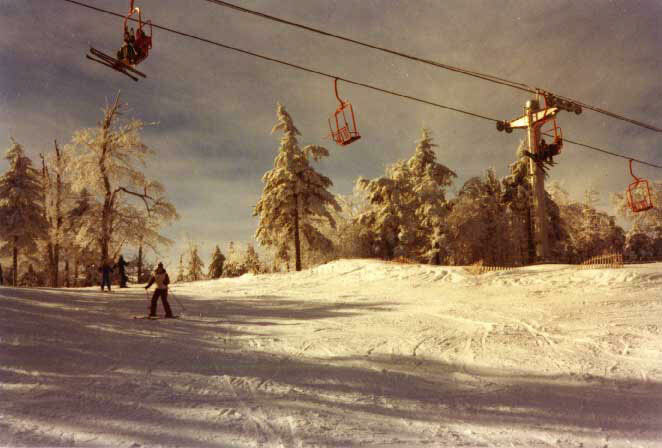 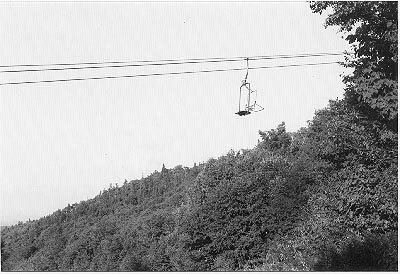 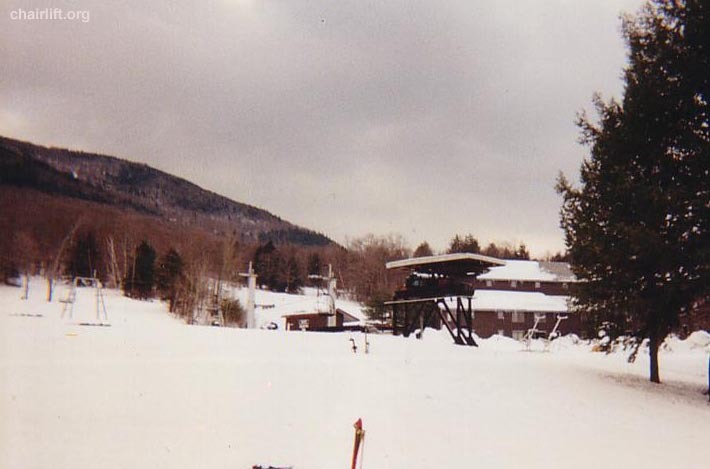 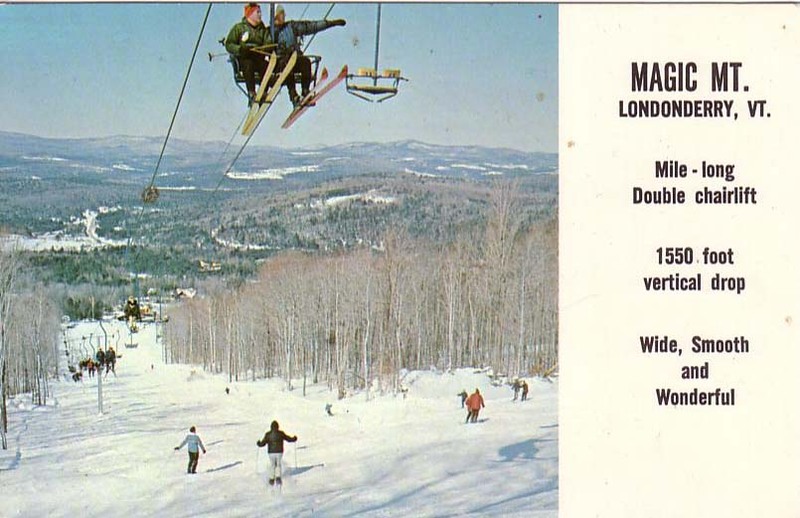 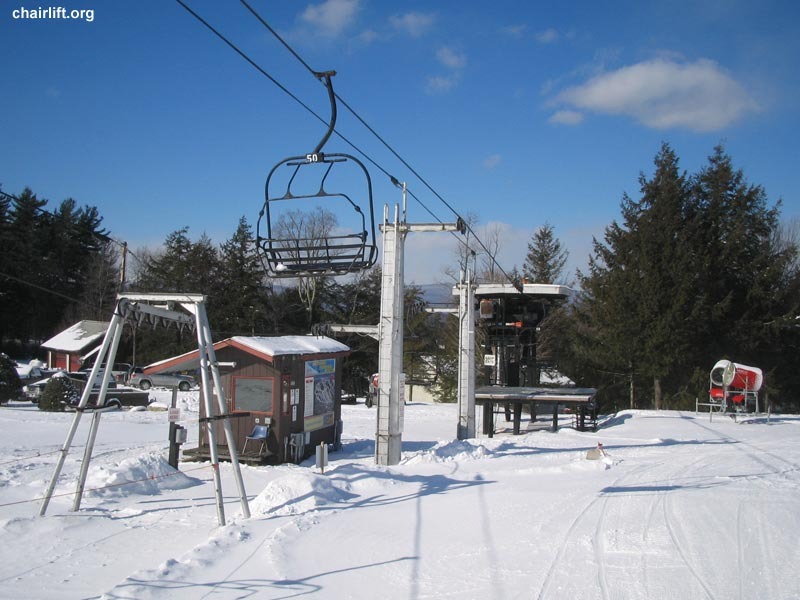 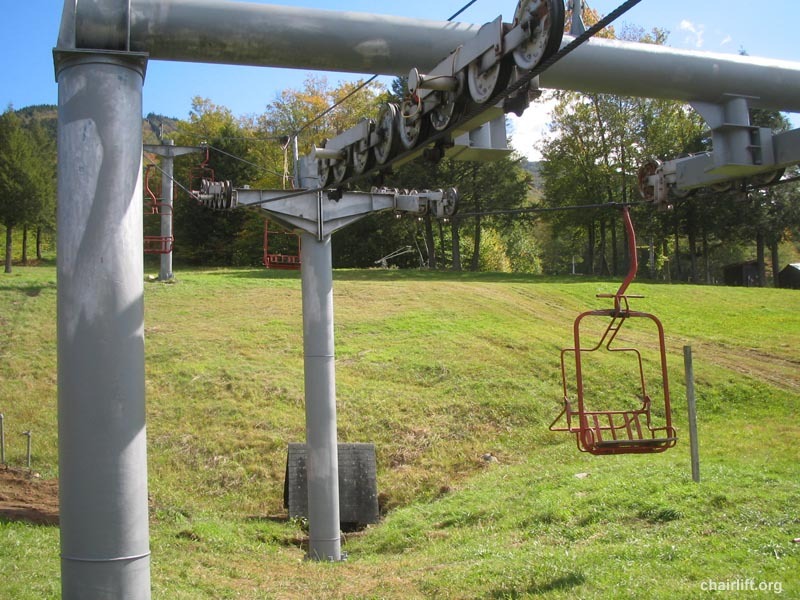 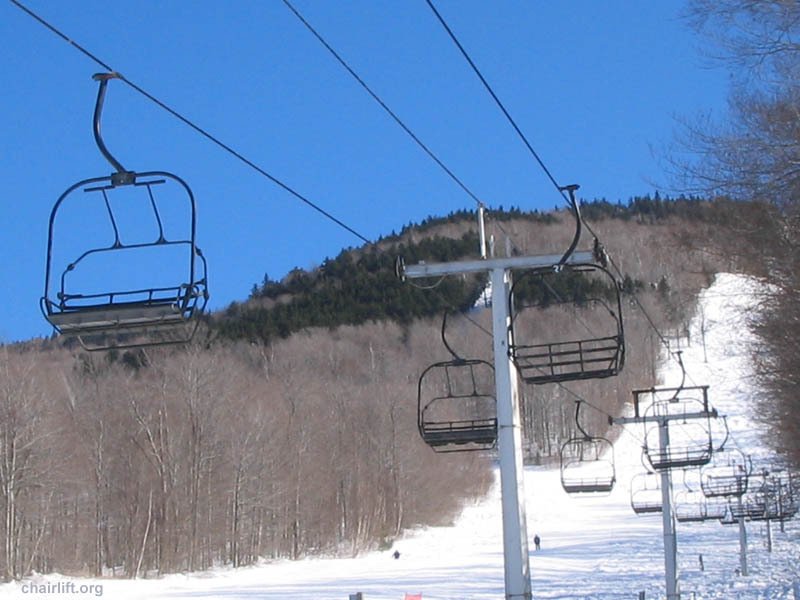 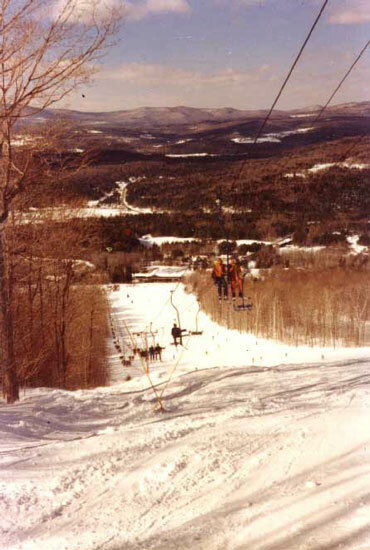 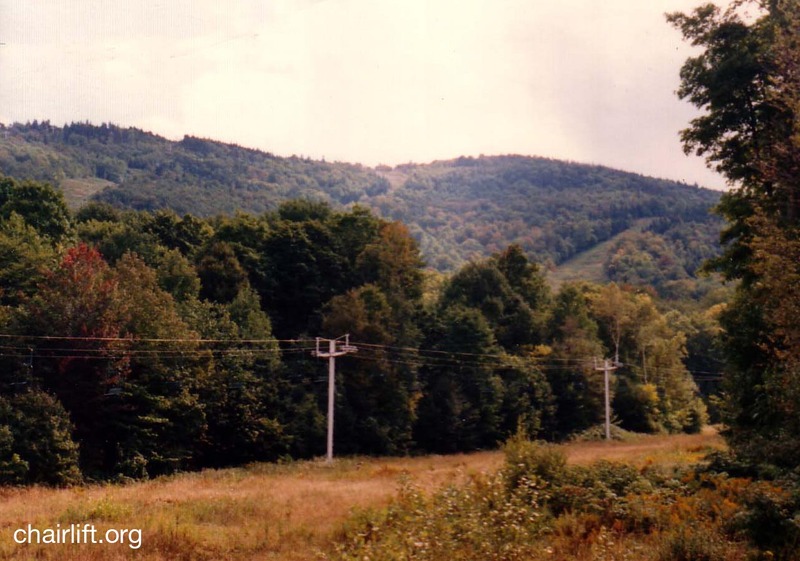 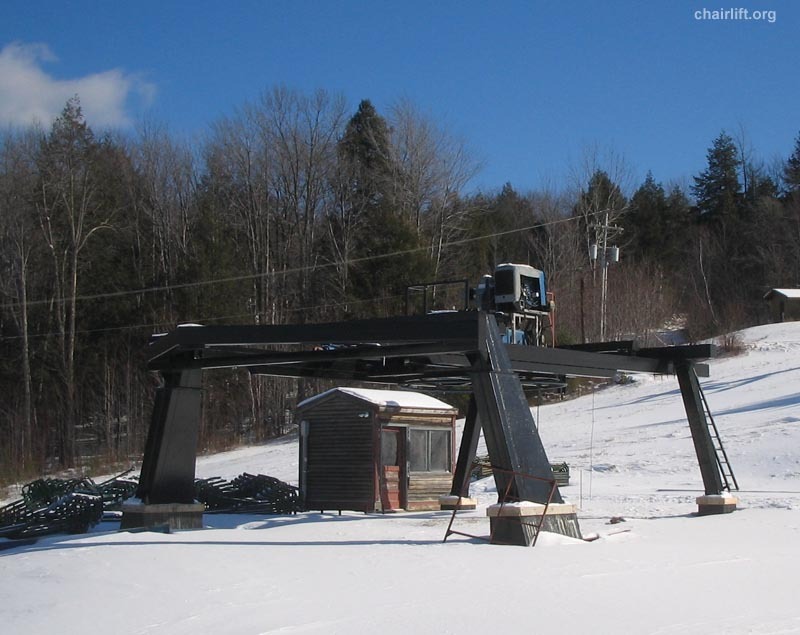 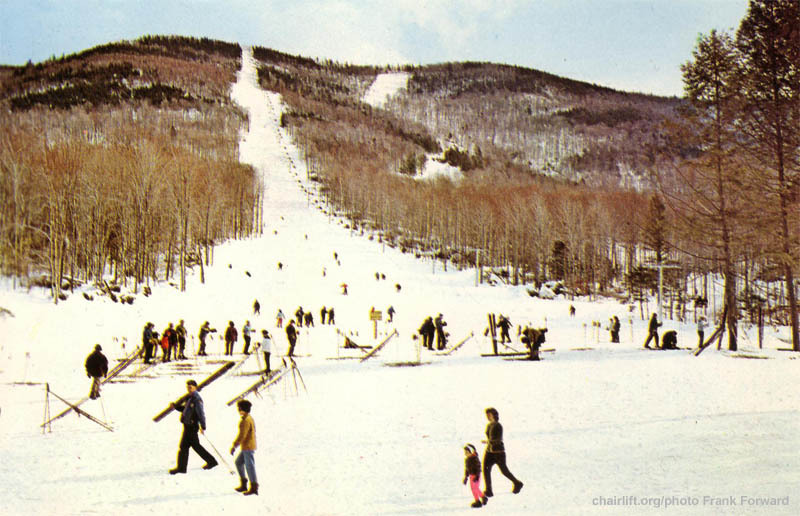 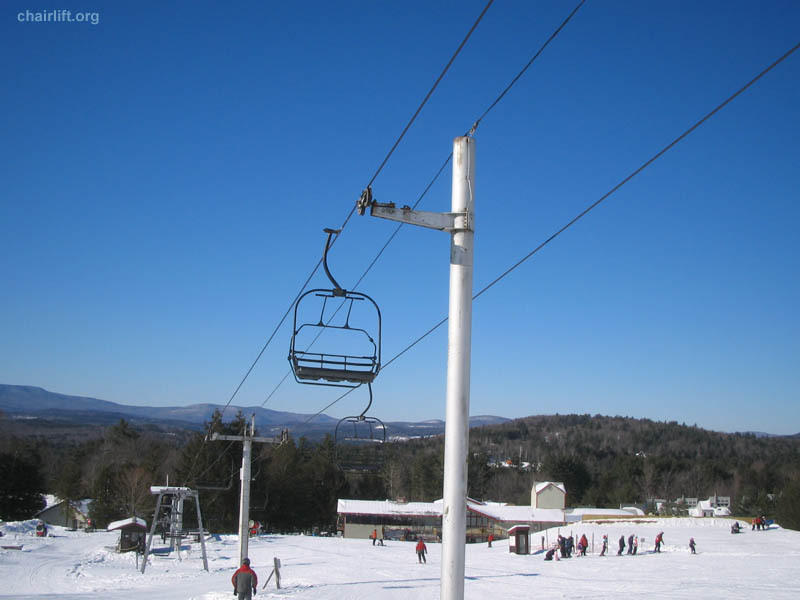 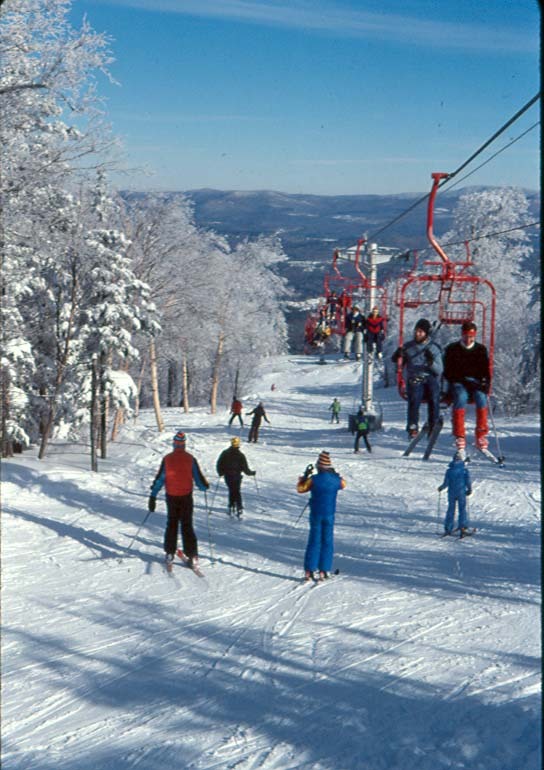 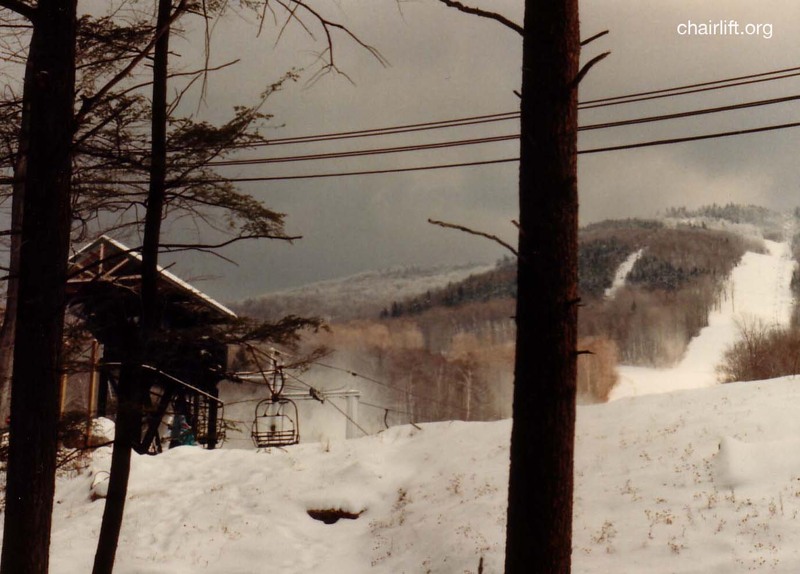 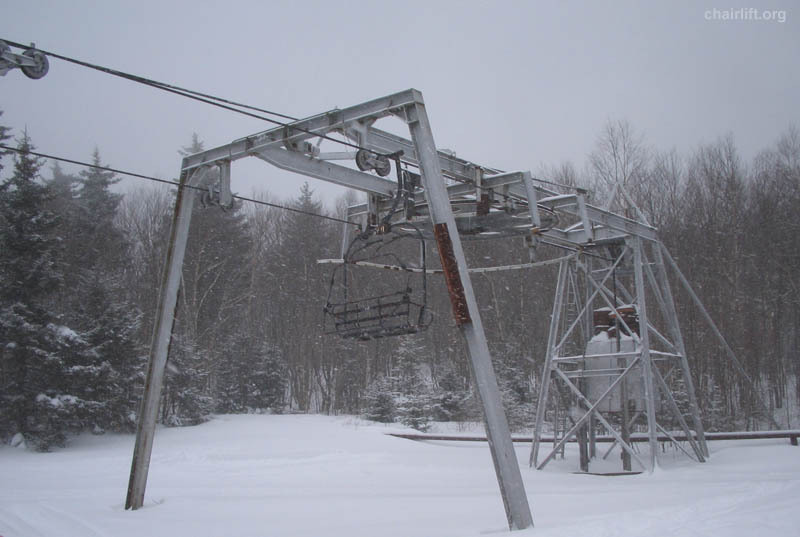 Poma triple chair in this location that was sold to Berkshire East when the mountain went bankrupt in 1991.
mid-station removed. 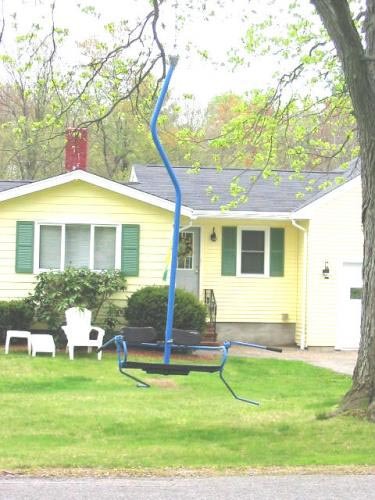 It is the only Pohlig chair built in the United States. 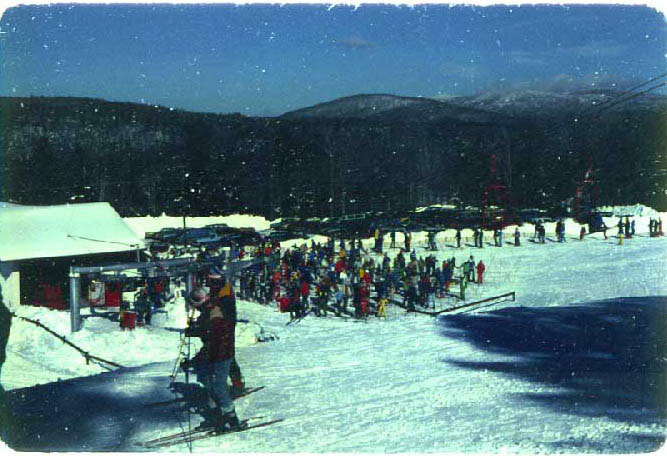 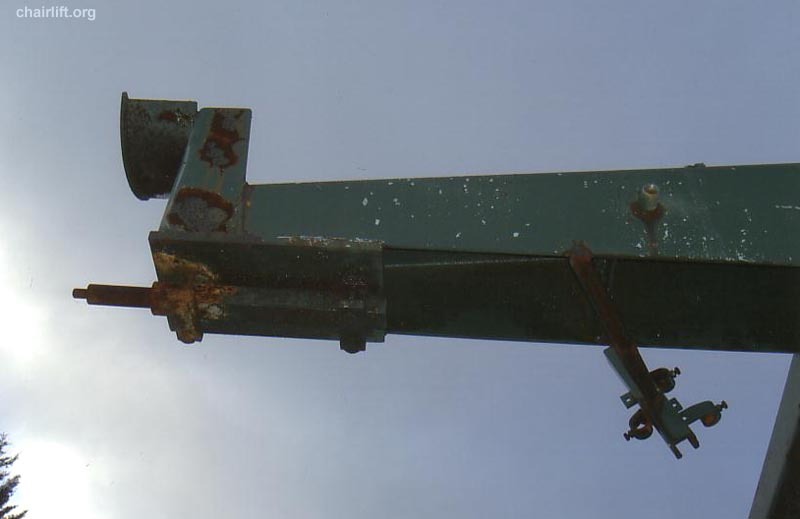 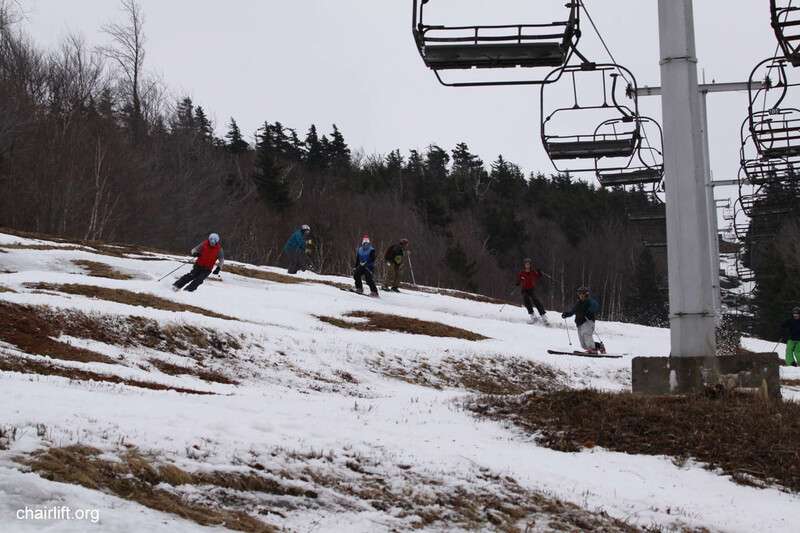 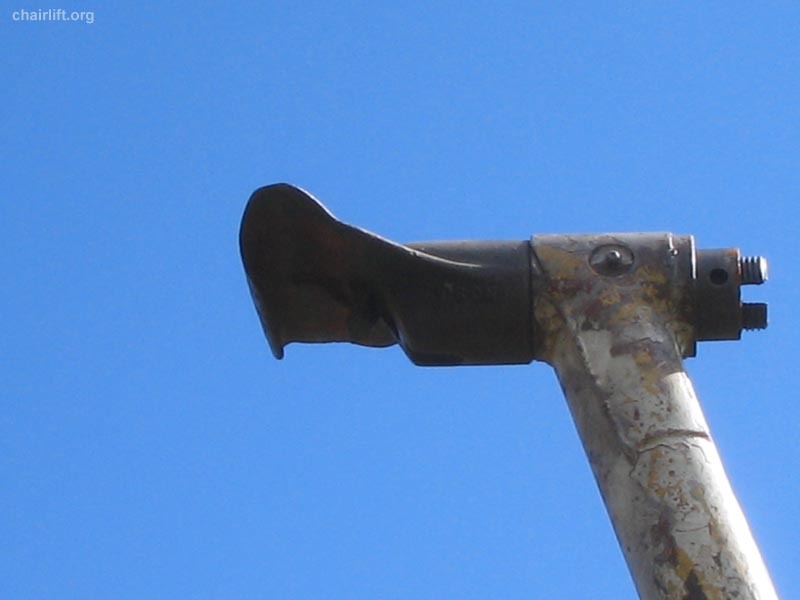 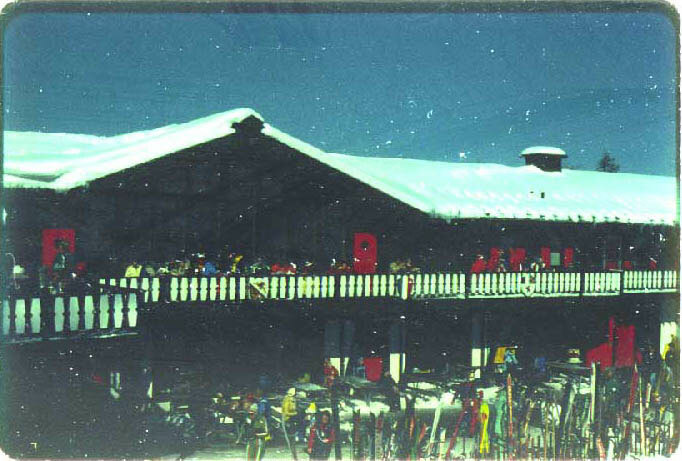 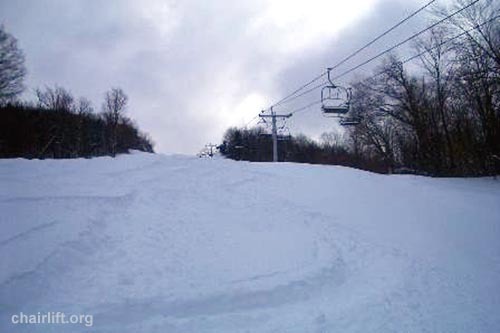 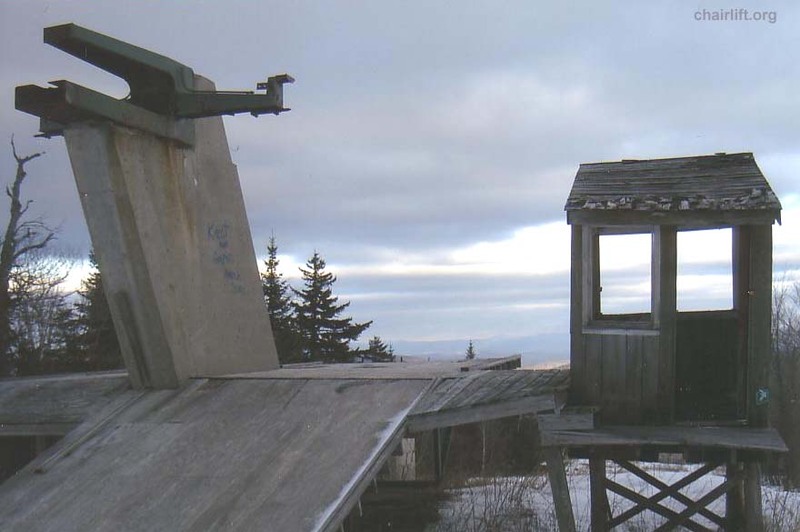 T-BAR (HALL) - The T-Bar ran up the showoff trail and was replaced by the Sun Corner Triple in 1987.
for 2008-2009. 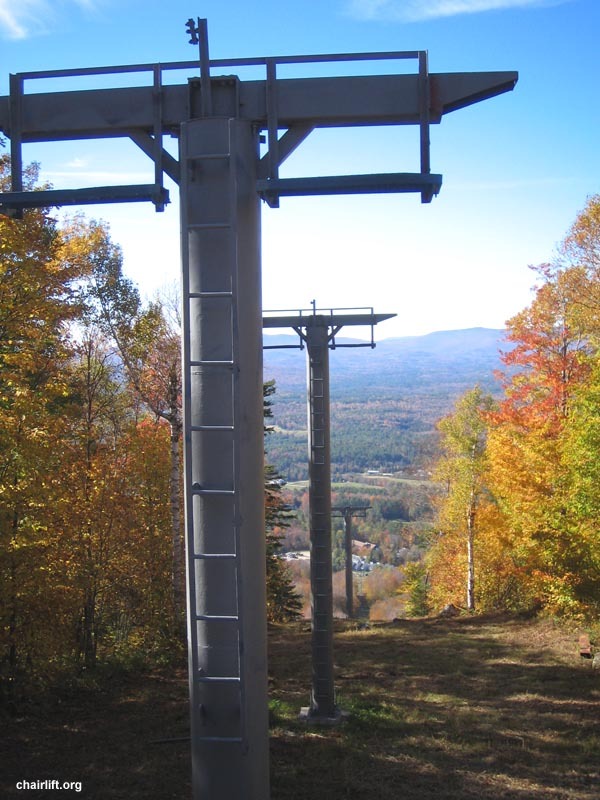 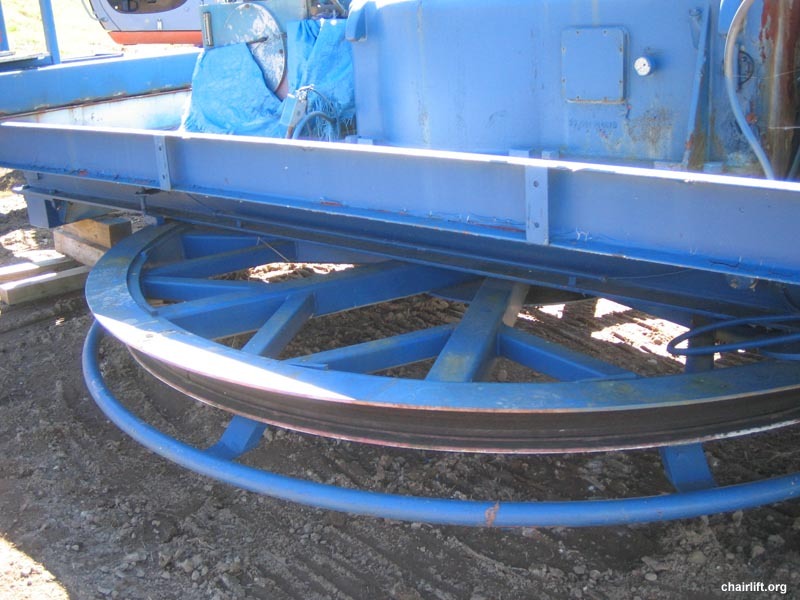 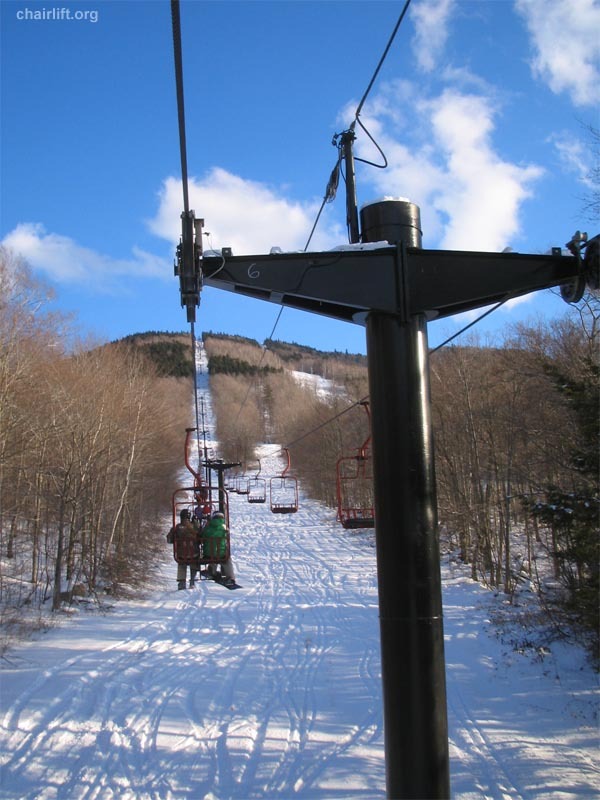 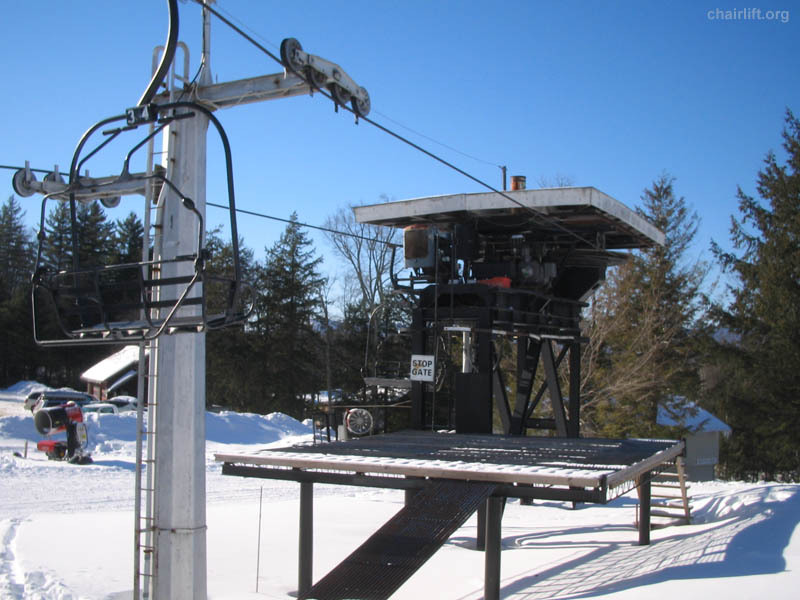 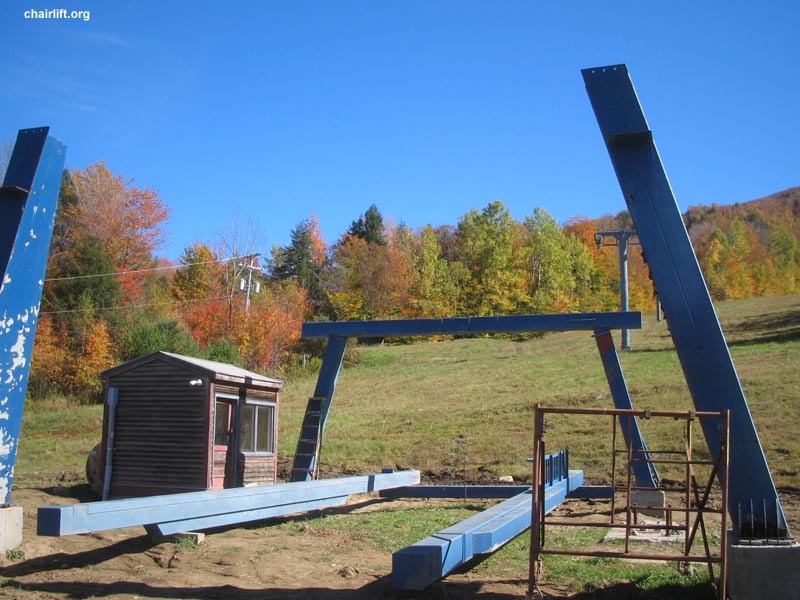 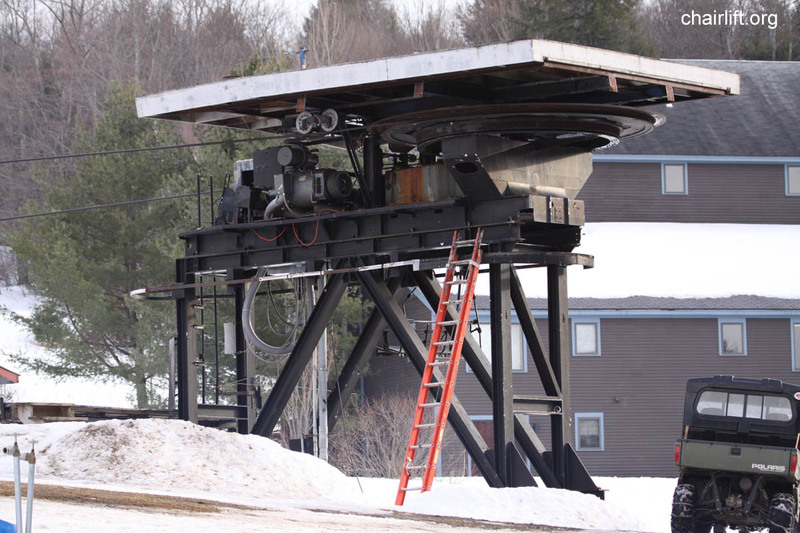 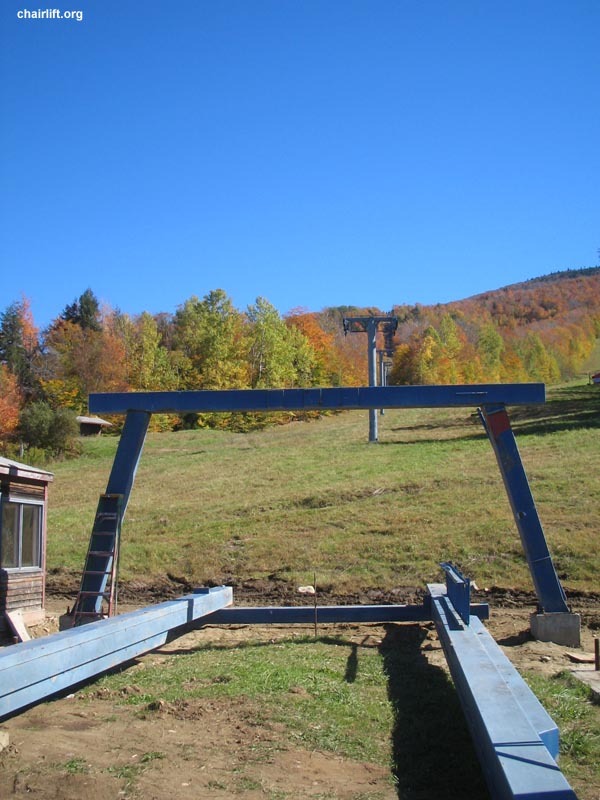 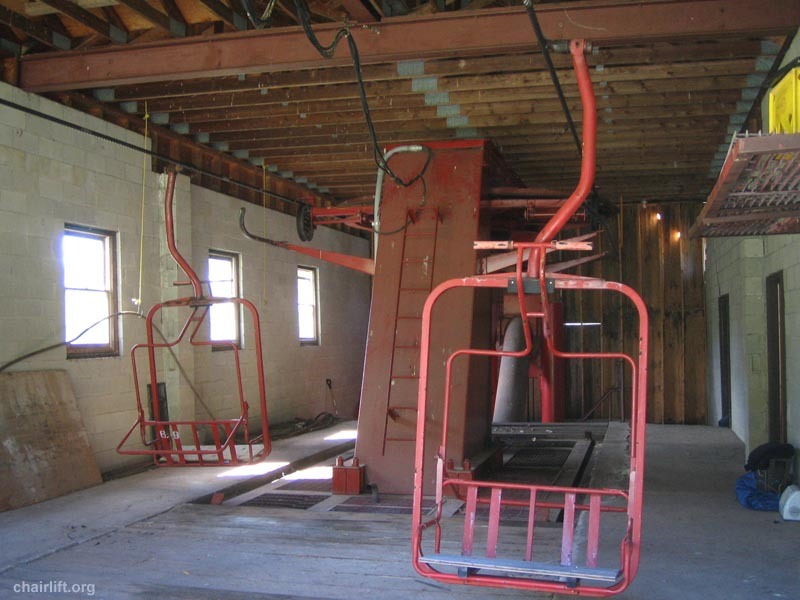 The halfpipe ran up showoff under this lift. 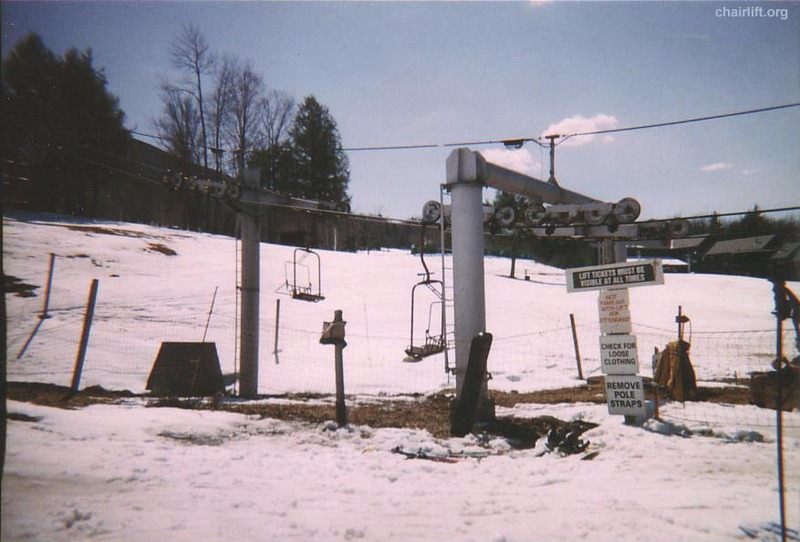 went once Mt. 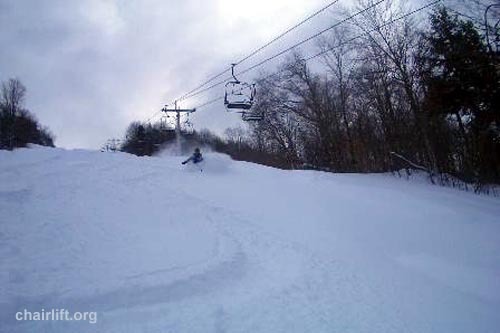 Tom closed. 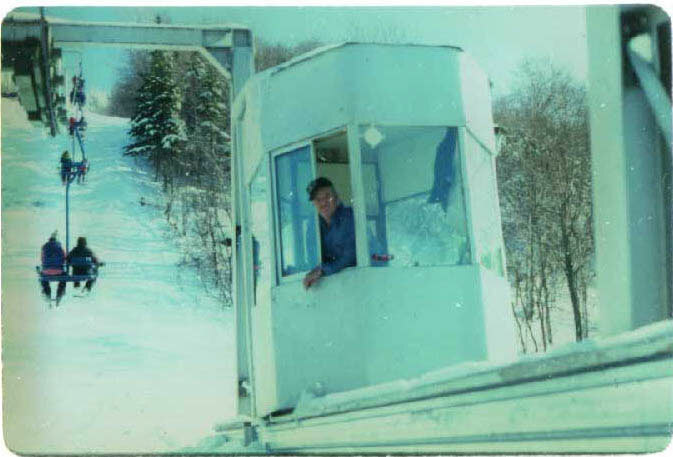 Please let us know if you know or have any other pictures. 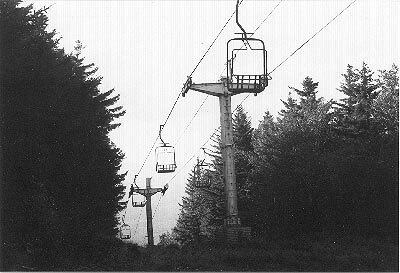 lift (aptly named as it was a magic lift).